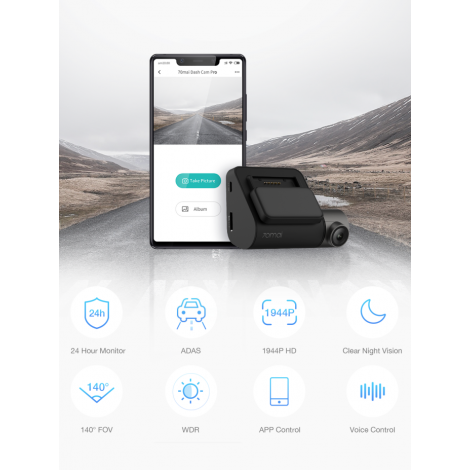 70mai Dash Cam Pro is an in-car DVR supported by 24-Hour Parking Surveillance and Advanced Driver-Assistance System (ADAS), featured 1944P (2.7K) resolution, Wide Dynamic Range (WDR) and Defog. 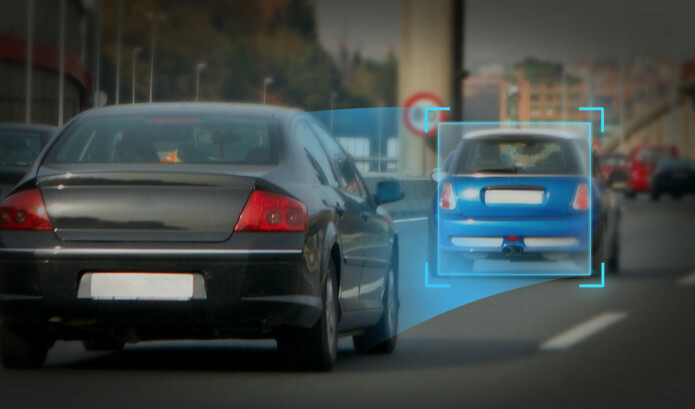 It helps to lead a safer driving experience by monitoring vehicle when the driver's in distance, warning potential danger and recording more details of emergency events in bad weather. 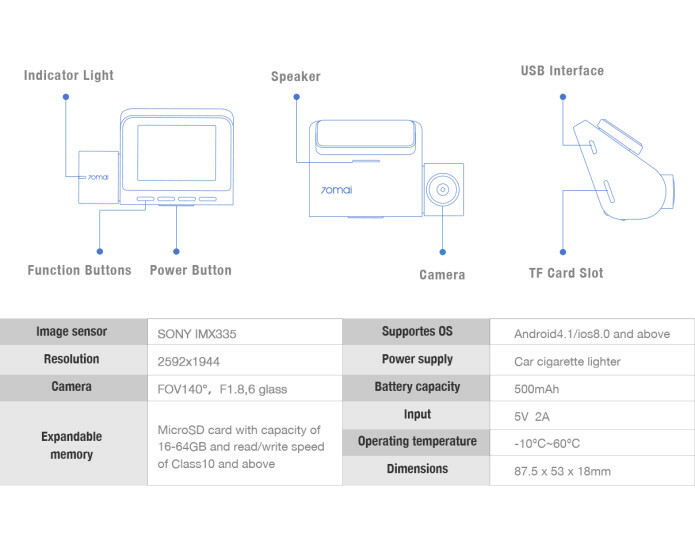 *Notice: A TF card is required to be inserted before using the cam. 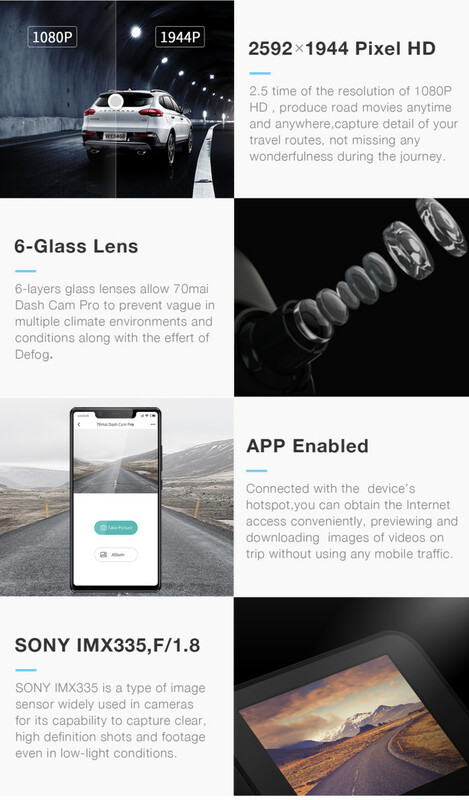 70mai Dash Cam Pro bends multiple advanced technologies to detect driving environment, anticipate risks and capture emergency events whether you’re in the car or away from it. 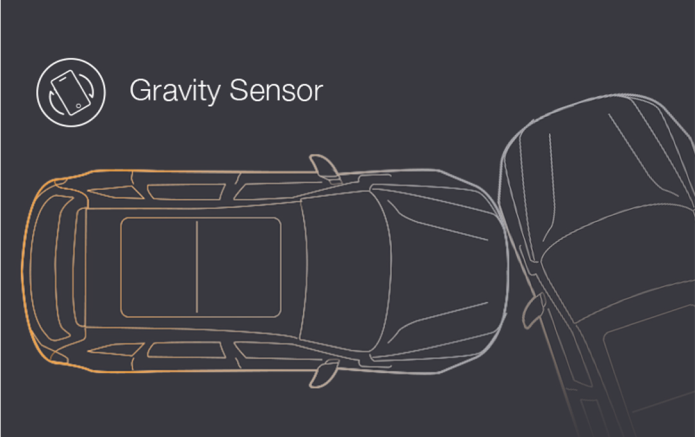 The G-sensor stays alert and the cam is ready to record when there's any motion detected. 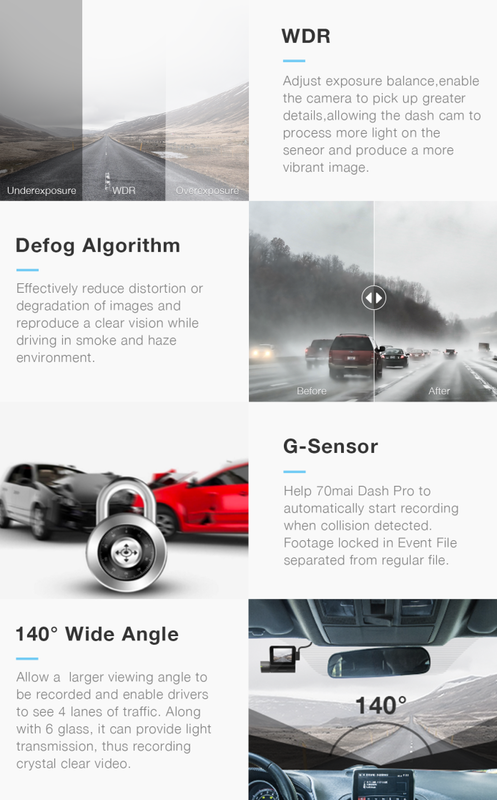 If the car is hit, 70mai Dash Cam Pro automatically starts recording accident. 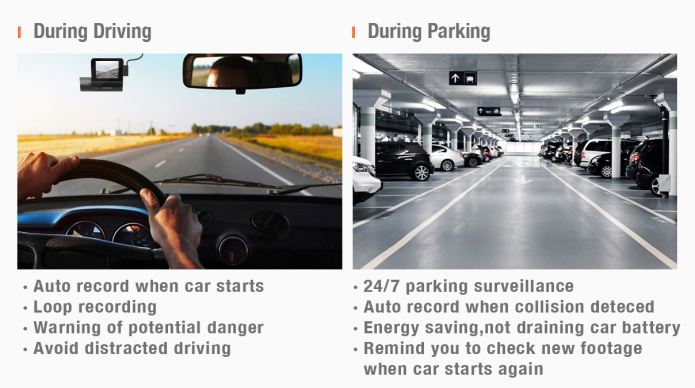 It will remind you to check the event video when you go back to the car. NO hardwire cable, NO battery draining. 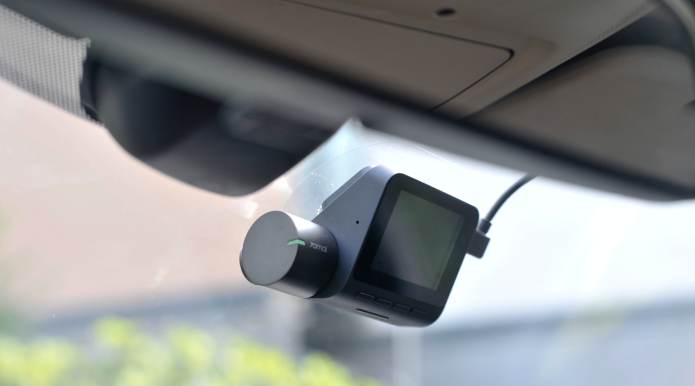 During your commute, 70mai Dash Pro keeps recording and captures every moment. Videos are saved in TF card as solid evidence about what happened. The capacity of TF card is limited, so old videos will be overwritten by the latest ones. 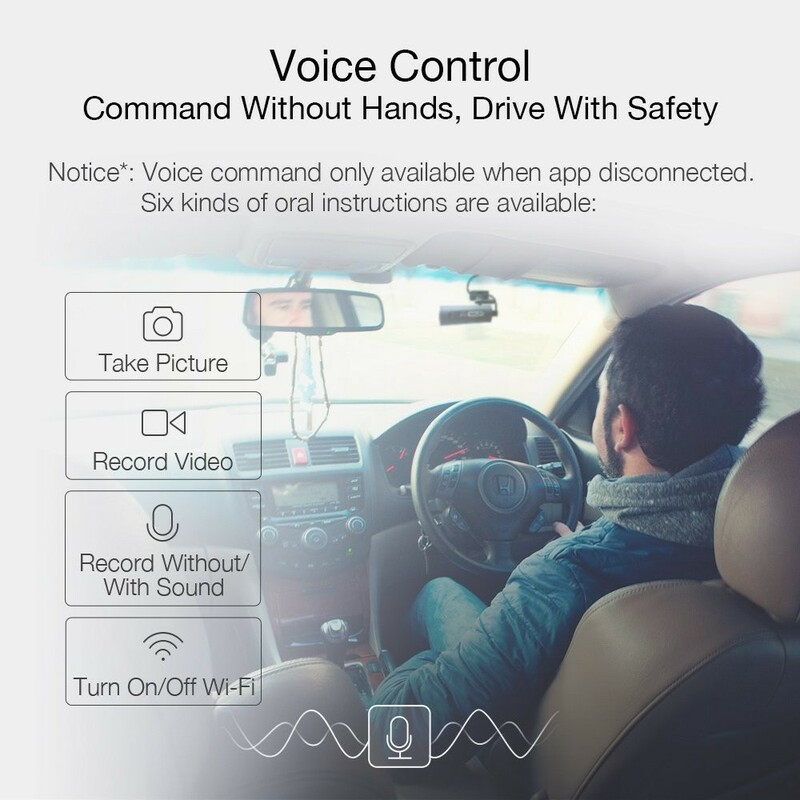 We recommend to back up the videos to your phone with our APP. 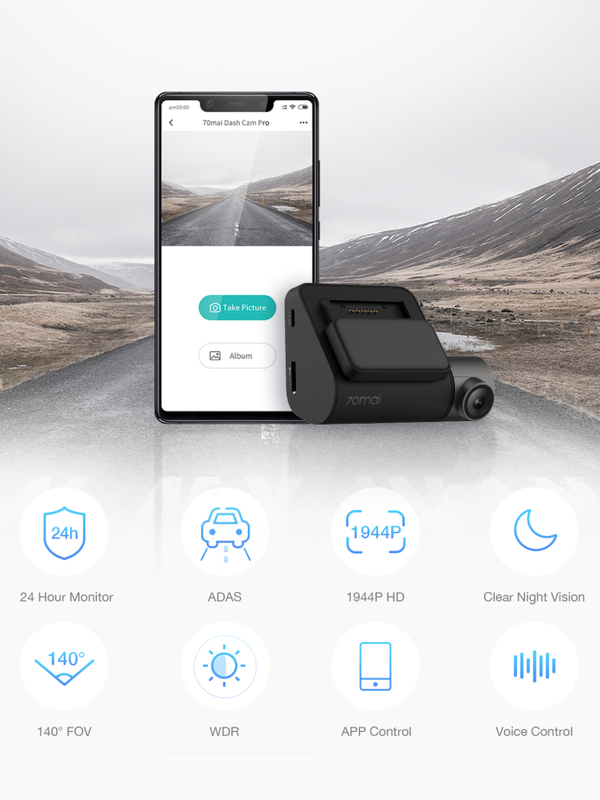 The Advanced Driver Assistant System (ADAS) of 70mai Dash Cam Pro will promote a safer drive-by monitoring sync traffic environment. ADAS, a modern highly sophisticated safety feature designed to boost driving safety, provides lane departure and forward collision warnings by sound prompt, rectify driving and assists drivers. 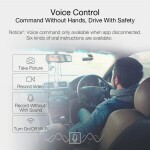 Real-time voice alert keeps you away from distracted driving tickets, providing you turn-by-turn route suggestion right in your line-of-sight. 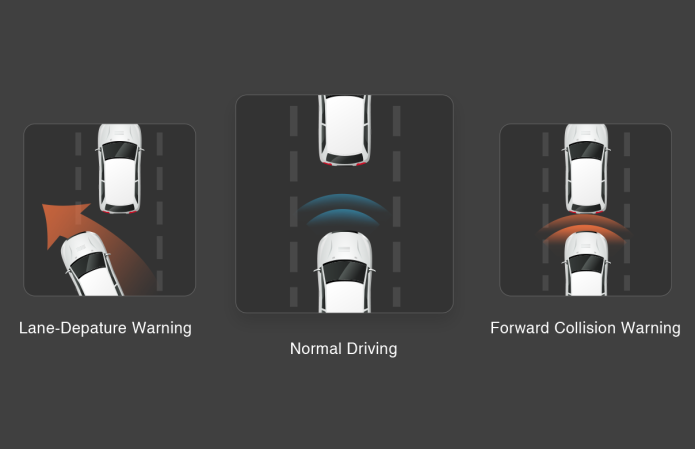 The Forward Collision Warning System (FCWS) helps drivers to keep a safe distance between vehicles as well as to effectively prevent and reduce rear-end crashes and accompanying injuries, especially for long fatigue driving, traffic jam or novice. 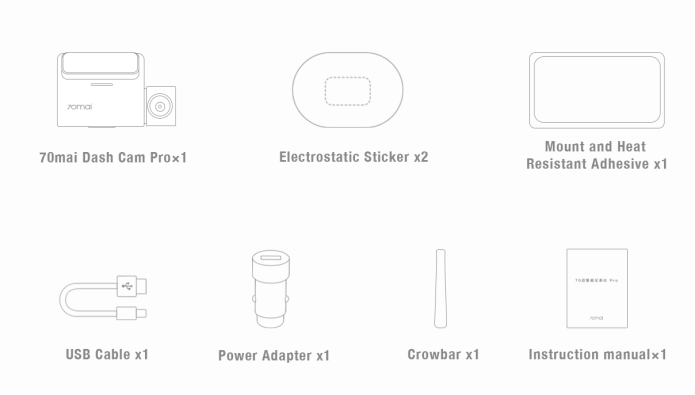 *Notice: The length of the Micro USB cable is 350cm (137.8 inches).